Update: Murkowski and Flake reportedly met with Senate Republican leadership this afternoon. Afterward, reporters were told that the Senate will order a supplemental investigation from the FBI to last no more than a week. U.S. Sen. Lisa Murkowski told CNN today that she supports delaying the confirmation vote for Brett Kavanaugh so the FBI can investigate the claims that Trump’s pick for the lifetime position sexually assaulted a woman while in high school, throwing a wrench into the hopes of Senate Republican leadership to “plow right through” the confirmation vote. Murkowski made the comments to CNN after U.S. Sen. Jeff Flake, R-Arizona, called for the final vote on Kavanaugh’s confirmation to be delayed “for up to but not more than one week” so the FBI can investigate the claims. He did so only after voting in favor of advancing Kavanaugh’s nomination out of the Senate Judiciary Committee. If Murkowski and Flake hold out–which isn’t guaranteed as Flake’s been notably, well, flaky when it comes to standing up to Trump and his party–it puts the Senate Republicans one vote shy of being able to confirm Kavanaugh without help from Demcocrats. Senate Republicans can stand to only lose one from their ranks and still be able to push Kavanaugh’s confirmation through with a tie-breaker vote cast by Vice President Mike Pence. 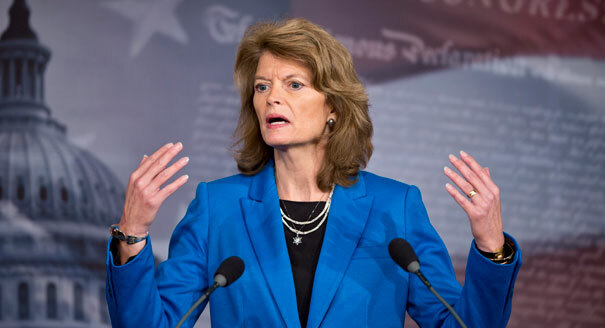 Though the impact of the investigation by the FBI isn’t likely to sway many of the Senate Republicans who seemed to have their minds set on supporting Kavanaugh well before Thursday’s hearings, it will likely carry great weight for Murkowski who’s already facing incredible pressure within Alaska to oppose Kavanaugh’s confirmation. Today’s statement is the first substantial statement Murkowski has made publicly since the hearing. There were rumors on Thursday that Murkowski, Republican Sen. Susan Collins will join Democratic Sens. Joe Manchin and Sen. Joe Donnelly in voting the same way on Kavanaugh’s confirmation, but no precise rumor as to how they’ll vote. Today, however, Donnelly joined U.S. Sen. Jon Tester of Montana to announce they’ll oppose Kavanaugh’s confirmation. Be the first to comment on "Murkowski supports delay on Kavanaugh vote to allow FBI investigation: Report"